On July 20, 2017 at approximately 8:12 p.m. members of the Wellington County Ontario Provincial Police (OPP) along with fire crews from Guelph-Eramosa Fire Department responded to a structure fire at 143 Main Street South in Rockwood. The address is a site of a historic property. The house on the property was not damaged. A structure on the property that was originally a stable but had been turned into a pool house was on fire. The pool house was fully engulfed. There was no one home at the time and there were no injuries. A witness reports seeing two males break into the gate at the property and approximately 20 minutes later the witness observed flames and called the fire department. This fire is being treated as suspicious. 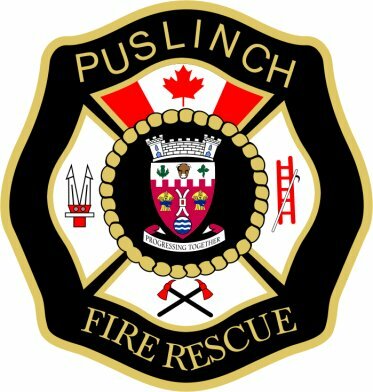 Puslinch firefighters were reportedly also called to the fire. OPP are asking anyone who may have seen these two males in the area to please call Wellington County OPP at 1-888-310-1122. Should you wish to remain anonymous, you may call Crime Stoppers at 1-800-222-8477 (TIPS) or submit a tip on-line at www.csgw.tips. You may be eligible for a reward from Crime Stoppers of up to $2,000. OPP and Guelph-Eramosa Fire Department are currently investigating and have notified The Ontario Fire Marshall Office.